I’ve never liked images on mud flaps. Not even as a kid. There’s something kinda mean or snarky about them. Bumper stickers can be the same way but generally offer some sort of message, whether political or spiritual. 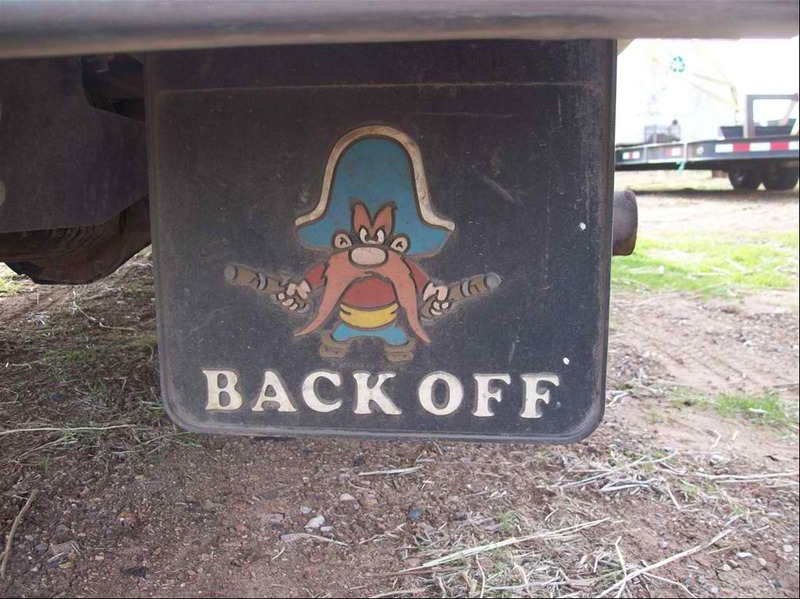 But, Yosemite Sam, or at least the graphic designer who came up with this, got it right. When I first started practicing, I didn’t know the reason it worked but I knew that I liked yoga-a lot! Rain or shine, holidays, whenever! I was at the studio 4-6 days a week. The bad thing about that particular studio is that the focus was on athleticism. Honestly, combining first, second and third series doesn’t lead to better ujayii pranayama. But, it did lead to a sore right shoulder one week. A sore left hip the next month. A sore left shoulder a week later and then back to the right hip. The tweaks bounced around my joints like a ping pong ball. WTF. Something within me said this isn’t right. In the first few years of my practice, no teacher ever said that yoga shouldn’t hurt. No teacher ever paid enough attention to my practice to remind me to breathe. I held my breath often, especially in arm balances. No teacher ever told me to back off when things didn’t feel right. That’s one of the many reasons I teach. Would you run a marathon on a broken leg? Of course not. But, I see students do the equivalent of that in yoga every week. If you can’t go as deep on one side, back off both sides. Even it out. Without realising it, you may do more harm than good by going to your max on the “good side” and taking it easy of the “hurt side”. Have you ever done half split (ardha hanumanasana) on one side and full split (hanumanasana) on the other side? Stop it!